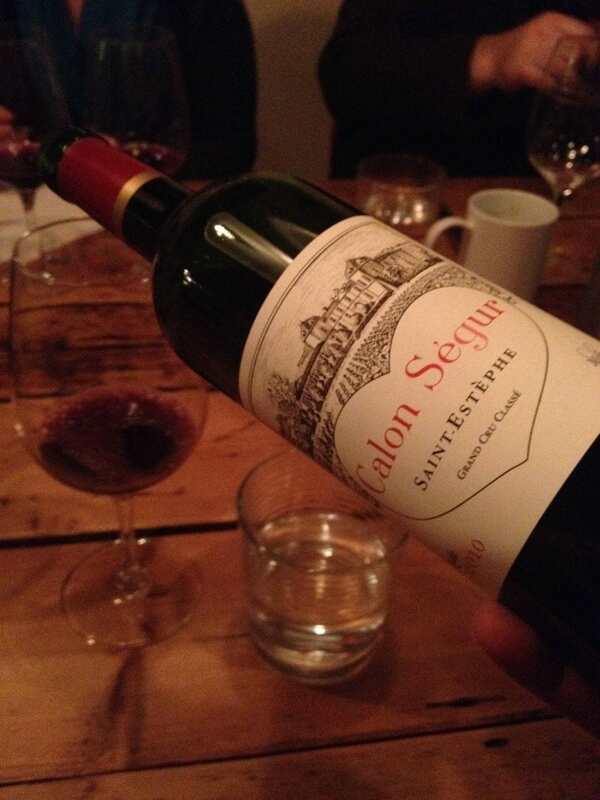 In 2013, in Bordeaux, I convinced the recently named general manager Laurent Dufau of Chateau Calon Segur to come to Washington D.C. to present the wines of this famous estate – apparently the oldest in the Medoc. Long considered a hidden jewel, this 3rd Growth from the famous 1855 Classification of the Medoc and Sauternes comes from arguably the least well known Medoc appellation. Most everyone has heard of Pauillac and Saint Julien and Margaux. 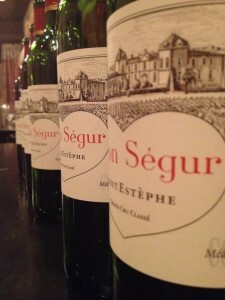 The first boasts three first growths (Latour, Mouton and Lafite). The latter has an elegant and easy ring to it; its recognition famously augmented by the first growth bearing the appellation’s name. Saint Julien, sandwiched in-between, is filled by super seconds, from Gruaud Larose and Ducru Beaucaillou, to the famous Leoville trio: Barton, Poyferre and Las Cases. Further to the north, Saint Estephe is mainly known for its two super star seconds in Cos d’Estournel and Montrose and for a slew of excellent cru bourgeois wines such as Haut Marbuzet or Les Ormez de Pez. 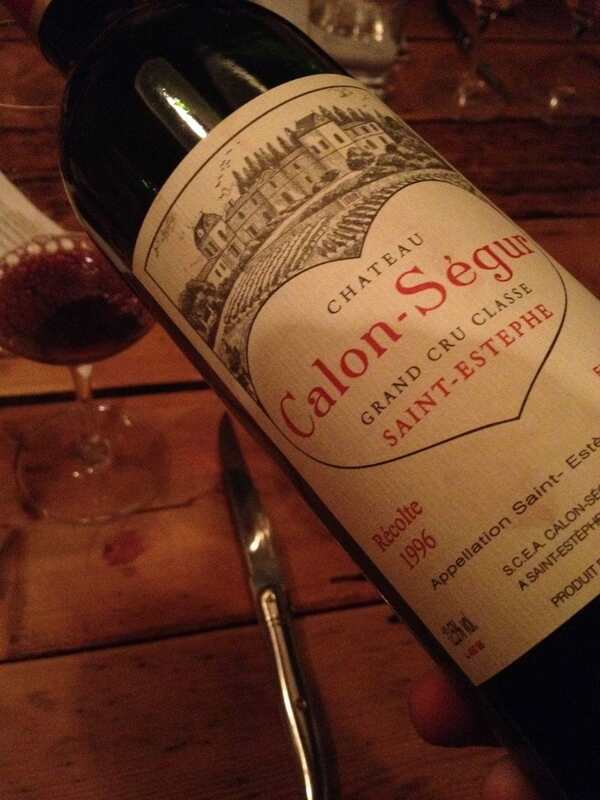 But what about Calon Segur? Less than 50 years since it was named officially a third growth, this estate was acquired by the Capbern Gasqueton family. Unlike the owners of other estates, the Capbern Gasqueton family shied away from the press. Well into the 20th century, it did not join the UGCB of Bordeaux – and their yearly world tours – and generally did next to nothing to market their brand. 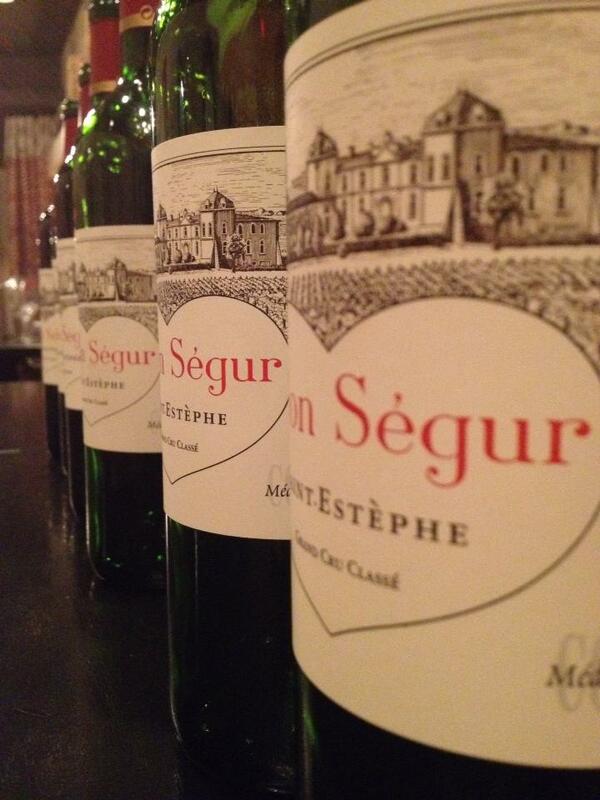 Of course, true Bordeaux lovers know Calon Segur. Critics like Robert Parker have praised the estate, which sells well. But it has been a kind of Sleeping Beauty. I recall calling Madame Denise de Gasqueton, shortly before her death at age 87 in September 2011, to tell her how much I love the wines, and that I wanted to visit, but she seemed aloof. Indeed, she kept herself and the estate very private and was known for her somewhat “irascible” nature, as friend and fellow wine writer Jane Anson wrote for an article in Decanter at the time of her passing. “She was renowned for turning away journalists and buyers, whatever their status – she was also an attentive owner, and her intelligence and expertise were legendary in the region,” Anson wrote. The Marquis de Ségur, former 18th century owner of Lafite, Latour and Mouton, as well as Calon:“I make wine at Lafite and Latour, but my heart is in Calon”. The heart drawn around the chateau’s name on the label today symbolizes that love – and makes for a perfect Valentine’s Day gift for your wine loving sweetheart. After her husband Philippe’s death in September 1995, she took over the running of the estate. And just a few years later, she started to reorganize the vineyard. 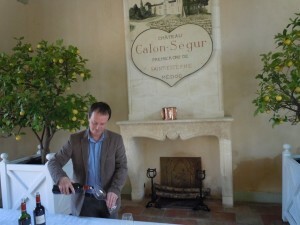 When the manager of Calon Ségur retired in 2006, Madame de Gasqueton hired Vincent Millet – who had previously been the director of research and development at Chateau Margaux – to take over winemaking. Vincent Millet chose to focus on the 55 hectares of the main vineyard to make Calon Segur. He discontinued using vines from outside the main vineyard for the first wine. He started to increase the percentage of Cabernet Sauvignon, to the point where the average blend in recent years is about 80-20. In 2009, a vintage I adore, he used some 90% Cabernet Sauvignon. He also increased the percentage of new oak to 100%. Changes continued under the new owners following the death of Madame de Gasqueton passed. Her nieces sold their shares of the estate, compelling Helen de Baritault, the daughter of Madame de Gasqueton, to sell it. 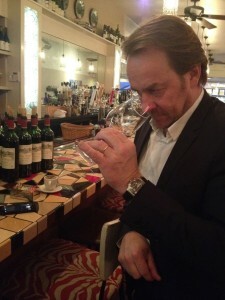 Crédit Mutuel Arkéa (Suravenir group) and the wine merchant Jean-François Moueix (of Petrus) acquired Calon-Ségur. 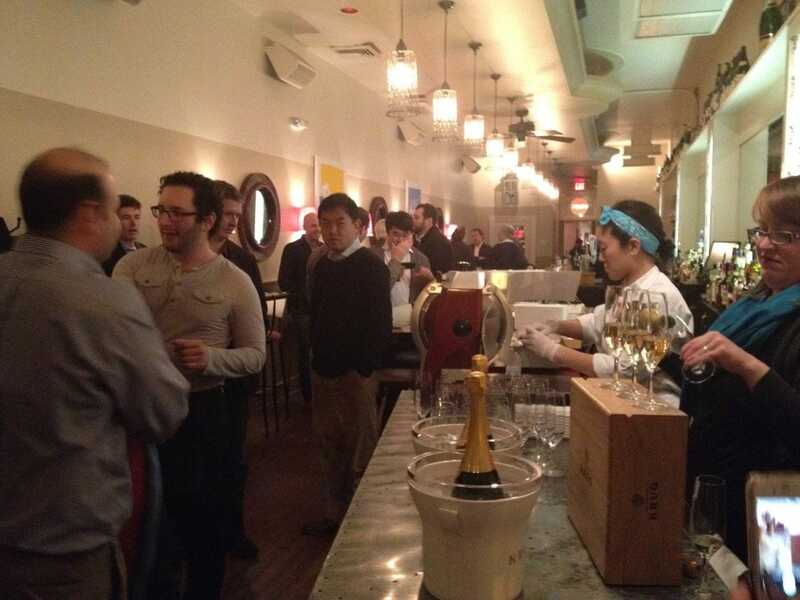 The new owners hired Dufau to start promoting the wines. So the vertical and tasting of this estate was a first indeed. 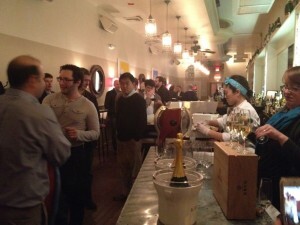 Participants included many wine geeks, professional wine sellers, sommeliers, merchants and restaurateurs. It was fun. And a good learning experience. Important to note that since 2006, the estate has been increasing the density of its vineyard planting and the percentage of Cabernet Sauvignon. 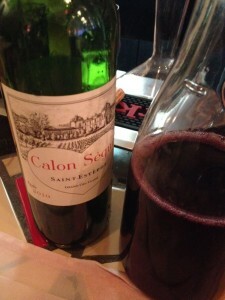 Until 2006, the blend included as much as almost 50 percent Merlot. Since that vintage, the average has been closer to 80/20 Cabernet/Merlot. My overall favorite is 2009: a superb vintage that defies the high alcohol trends of Bordeaux and will prove to be something very special in 15-20 years. Please note that tasting notes/scoring reflected matches with the great food at Ripple. For example, the 2007 was just lovely over dinner. I also took vintage character into account, noting that – for a 2007, Calon did well. By the same token, I scored the 2005 less than I should have, perhaps, but I thought it was not as good as the vintage character would lead one to believe. Needs lots of air, but best to wait 20 years before opening this vintage. 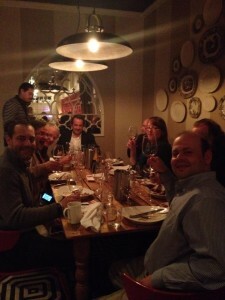 Many thanks to Laurent Dufau for his generous offer of most all wines. To MacArthur Beverages for providing importing of the bottles. And to participants Maria Denton, who brought four bottles of Krug to start things off, to Chris Bublitz, who brought a couple of 1982s, to Howard Cooper for bringing a magnificent bottle of Lafaurie-Peyraguey 1986 and to Randy McFarlane for a Rieussec 1989.